Posted in "Learned along the way" by Blockcoder ( Admin ) on 12.12.2019 Заходите на этот сайт за женскими брюками! "Couple of our precious working hours wasted to oblivion, because we were solving this annoying problem. 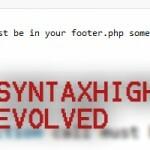 The plugin installed correctly and everything seemed to be right -- but not." 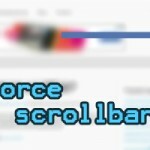 "This little tutorial is about "how to force your browser's scrollbar to fix to the right side" - and stay there. This situation is familiar and maybe needed when you have content that differs with it's height property." "When something goes wrong while developing, your site just shows white page or just won't work. These are the times when you really don't know what's going wrong with your website. If you could see even the errors-reports, you might figure out what you are doing wrong."